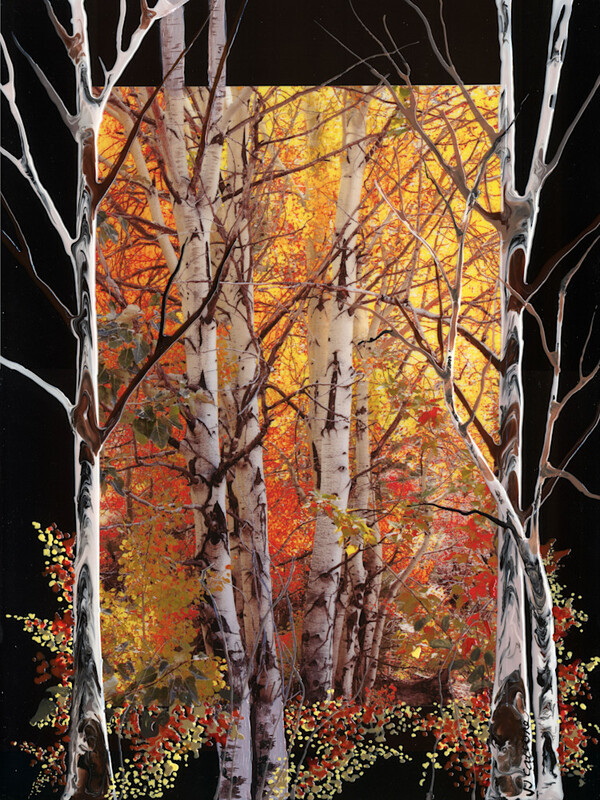 Hope Valley Aspen - a mixed media piece incorporating both photography and acrylic paints . Only available as an original due to the proprietary process that I utilize to create it . I only use an image from my own photo shoots. I print a fine art Giclee that is mounted to a painted substrate. I seal the giclee using acrylics then paint over the top of the photo and into the surrounds. The result is a piece that has a 3 dimensional quality and a lustrous finish. .This piece is executed using the 3D process. It is not conducive to prints. You will note the print sizes and media are very limited and we do not recommend printing this piece. Please see the original by clicking the Original Painting tab.